Milford MA 26 acre casino plans revived. A proposal to build a 0 million resort casino in Milford ­— that many thought was dead — will be revived, according to a town official. Conservation Law Foundation files amicus brief in lawsuit aganinst BRA to keep Long Wharf a park. Developer asks for more time to work with neighborhood groups. Boston Redevelopment Authority project summary. Restart for Lovejoy Wharf project? Boston-based Beal Cos. and the Related Cos. in New York have reached an agreement to buy Lovejoy Wharf, the stalled 0 million proposed development on Boston Harbor, sources told the Boston Business Journal. Boston – a bit elementary for most Urb readers but some interesting nuggets in this interview of Michael D’Angelo. A court decision in favor of Fenway Center marks the turning point for air rights development in Boston. Will Boston’s Fenway Center be a model for financing freeway caps? Bos – deal part of NEU’s take over of downtown YMCA for student housing. Northeastern University and the Massachusetts Housing & Shelter Alliance have agreed to keep 67 apartments at the Greater Boston YMCA in Boston affordable until 2032. 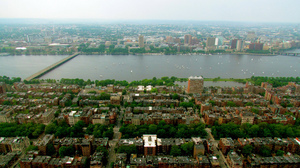 This article about Boston plans for rising sea is a bit old but still relevant, unfortunately. In Boston, scientists are predicting that climate change will lead to dramatic sea level rise, and more frequent flooding, around the city. Officials are studying the potential impact on roads and sewers and are asking waterfront developers to plan for increased flooding. Step one to slowing global warming. The entire country would do well to emulate Massachusetts.